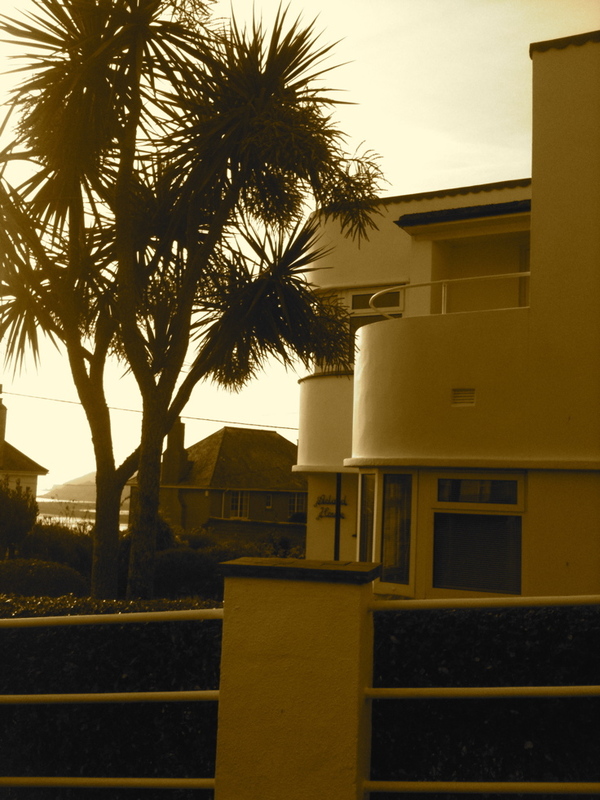 Well, check out this design in their 1930s Modernist Seaside Villas range, which features a very cool home on Lidden Road in Penzance called Acland House (architect Geoffrey Bazeley). 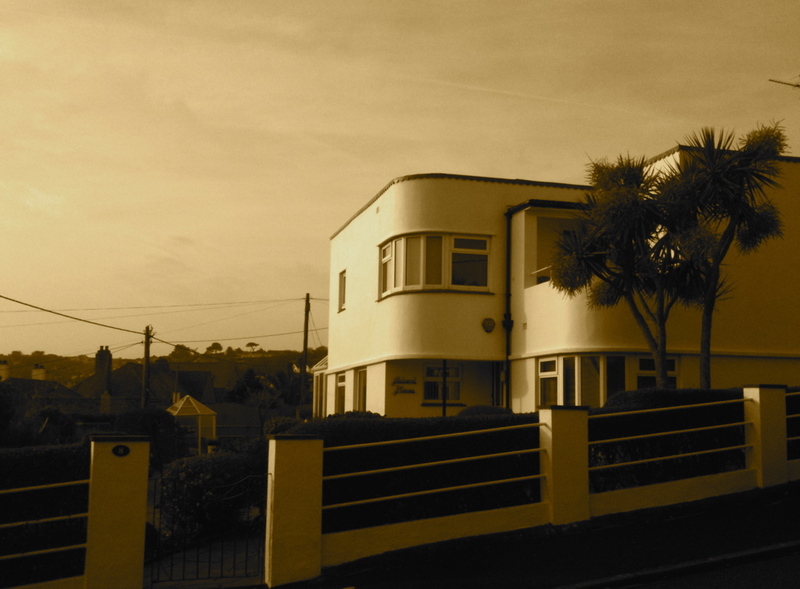 Struggling to believe I’d never noticed a house of this calibre, especially given my penchant for art deco, I trundled off to Lidden Road this morning to check it out. Here it is in real life – hardly changed in itself but now surrounded by equally large but less inspiring suburban-style houses. Look here to see what it was like when it was first built on open land in 1936, probably with uninterrupted sea views… sigh…imagine that. Ah well, at least the mug is only a tenner. I wonder if it’s the same architect as the Yacht Inn, which is in a similar style… does anyone know? Great to see photos of this house, which I have extremely fond memories of as a boy. My grandparents (Mr & Mrs H Thomas) owned the house from about 1970 ’till about 1980. They had previously owned ‘Rugen’ in Alexandra Road. Acland House was and still is most unique. The curved bay window in the lounge was perfect for playing on. I think my mum still has a photo of my sister and I taken here! We rarely used the front door; using the one into the kitchen, and I loved going into the understairs cupboard which went down further than expected – it smelling of my grandad’s shoe polish. I have some many fond memories of summer holidays based in this house. The bedroom I stayed in had great views over Newlyn, and the main bedroom had great views. Come to think of it most rooms had great views over the Mount’s Bay. I loved the fact that it had a palm tree in the garden. It is a beautiful house and I hope that it remains so for may years. 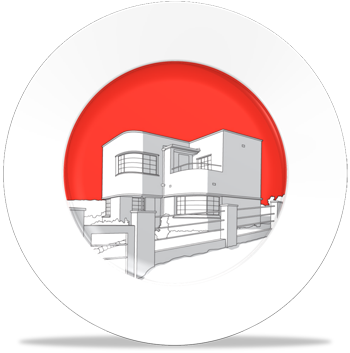 Hiya, Lidden House is designed by the Drewitt practice, as is The Yacht! I’m one of The Friends of Jubilee Pool and it’s great to see you’ve blogged about the Pool. Hi there – Thanks for the info – I love both buildings. Wonder if there’s anything else by the Drewitt practice round ‘ere… Fingers crossed re funding for the Jubilee Pool. What’s the latest? The final decision on funding will be made on the 30th. Clearly it’s early days but we’re very confident that The Friends will be able to operate the pool in the long term as some form of social enterprise. We now have to put a firm plan together, and as ever looking for fans of the pool to help. I trust that you are a member!